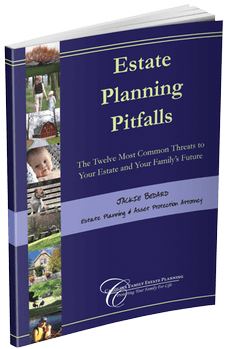 The applicable estate tax rate on assets in excess of the estate tax exemption is 40%. For example, if your total estate is $12.4 Million, your estate tax exemption can be used to shelter the first $11.4M from estate tax (assuming you did not use your exemption during your lifetime—see below). The remaining $1M would be taxed at 40% resulting in a $400,000 estate tax bill. For 2019, the Federal annual gift tax exclusion amount—the amount that you can gift annually without owing gift tax or having to file a gift tax return—is $15,000. The annual gift tax exclusion amount is per recipient, meaning that if you have three children, you can gift $15,000 to each child. Important Note: Do not confuse the federal gift tax exemption with Medicaid and veteran’s benefits rules. Gifts of ANY amount DO constitute a gift for purposes of eligibility for Medicaid or veteran’s benefits to pay for long-term care and WOULD potentially be subject to a penalty. For 2019, the Federal lifetime gift tax exclusion amount—the cumulative amount of total gifts above the annual gift tax exclusion that you can shelter from gift tax—is $11.4M. This exemption is NOT per recipient. Rather, it is specific to you. Any gifts in excess of the annual gift tax exclusion amount require the filing of a Form 709 gift tax return to report the gift. If you are using your lifetime exclusion amount, you would report such on the Form 709 and no tax would be due unless your gift exceeds your lifetime gift tax exclusion amount. The IRS uses the Form 709 to track how much of your lifetime gift tax exclusion you have used. Failure to timely file a Form 709 can result in significant penalties and interest. North Carolina repealed the state-level gift tax effective January 1, 2009. The Estate Tax Exemption and the Lifetime Gift Tax Exemption are linked together. Any portion of your Lifetime Gift Tax Exemption used will reduce your available Estate Tax Exemption upon death. For example, if you use $2M of your lifetime gift tax exclusion during your lifetime, then upon death your estate tax exemption amount will be reduced by $2M.